In recent years, the literature on women and politics in Latin America has burgeoned. This work, as one of the first book length studies of the roles played by women in Mexican politics, is a very useful addition to this growing field. It is the culmination of in-depth and sustained research that was undertaken from 1994 and involved interviewing and observing large numbers of Mexican women who were involved in both formal political activity and grassroots activism. Therefore, unusually for a study of this kind, it is in a good position to give us the perspectives of the women themselves. The author herself, originally from Mexico but now based in the United States, has studied Mexican politics for several decades and therefore is in an ideal position to write a book such as this. The period that this book covers has been a time of great change for both the Mexican political system and for women in Mexican politics. The Mexican political system had been dominated by one party, the Partido Revolucionario Institucional (PRI), since the revolution that had enabled it to come to power early in the 20th century. During the 1990s, what was essentially a one-party state began a process of political liberalization, allowing other parties to achieve some power and influence. This political opening culminated in 2000 with the election of the right-winger Vicente Fox, the first president to come from another party for over 70 years. This transition to democracy and increased political pluralism was accompanied by an increase in the participation of Mexican women in public life, both in the formal political arena and in the social movements that also grew in the late 20th century. By 1997, women made up 17.4% of the Chamber of Deputies, up from 6.6% in 1975. Victoria Rodriguez wants to examine this trend toward greater participation in the public sphere in the context of the transitions to democracy that have taken place in much of Latin America over the last 25 years. This is an important task as little of the gender and Latin American transitions literature produced to date has looked directly at the somewhat different transition in Mexico. As such, this book provides a useful complement to most of the work that has focused primarily on Chile and Brazil, as well as other countries such as Argentina and Venezuela, examining both the opportunities and the constraints provided by transitions to democracy. Rodriguez gives us a comprehensive background to the contemporary period by examining women's social and economic position in Mexico, focusing particularly on the responses of different groups of women to economic hardship. She also provides a detailed history of women's movements, particularly the feminist movement, before moving on to examine women in public office at local, regional and national levels. The author looks in detail at the role of women in the different political parties as well as women as voters, detailing the constraints and problems that face women politicians. This is a book that is self-consciously about women and their actions in the political sphere. It focuses primarily on the conventional political arena rather than on political activity defined more broadly. 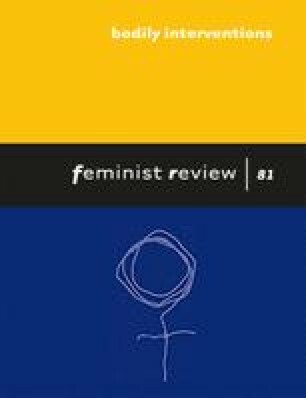 What it does not do to any great extent is to look at the ways in which those political institutions are gendered or at how the policy outcomes that emerge from them are also gendered. But then Rodriguez did not set out to accomplish this task or claim that she was going to. What she has produced is a rich and nuanced study of different women as political actors. In addition to adding a valuable study to the women and Latin American politics literature, this book also addresses many of the themes that have been important to those engaged in the study of women and politics in other contexts, particularly competitive electoral politics in the first world. The debates over women's leadership styles, the utility of quotas as a mechanism to increase women's representation and the degree to which women of different backgrounds and political persuasions can form effective alliances are ones which have a wider resonance. As such, this book will be of interest to anyone looking at the broader questions involved in the study of women and politics, as well as to those interested primarily in Mexico and Latin America.